On Sunday April 7, 2019 during Cyclovia please use Speedway Blvd. 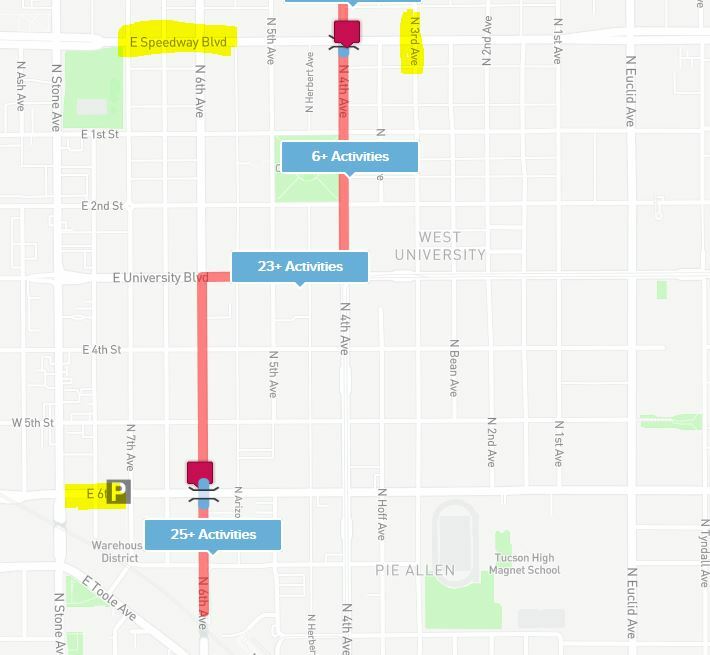 or 6th Street to 3rd Avenue to access parking from the West as 4th Avenue & 6th Avenue will be closed. The parking lot entrance off University Blvd. will be closed. 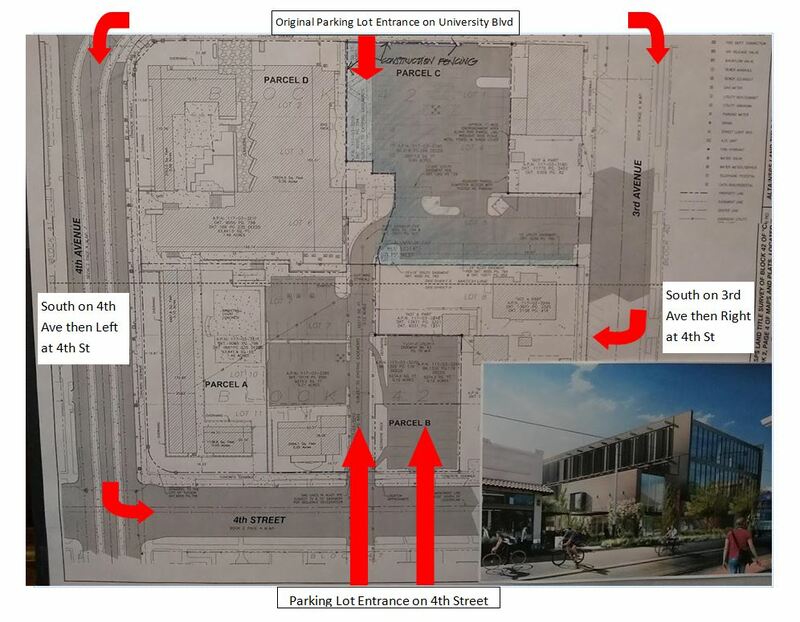 Please take either 4th Ave or 3rd Ave south to 4th St. and enter our lot from the South side of the Sanctuary Building. There will be attendants available with a golf cart to help anyone needing assistance to get where they would like to go. The parking will be open to church events only.